To make her story come true. Elizabeth is a dynamic and energetic performance poet, short story writer and theatre director. From 2006 to present day Elizabeth has performed her poetry on various stages and at various events in and out of Harare, Zimbabwe. Elizabeth’s short story Positive Death was published in The Zimbabwe Women Writers’ Magazine in 2006. She also wrote an article entitled Telling our Stories and Perspectives in early 2010 which was on Pepeta blog and was later on published in a MISA-Zimbabwe Magazine called Women Speak. 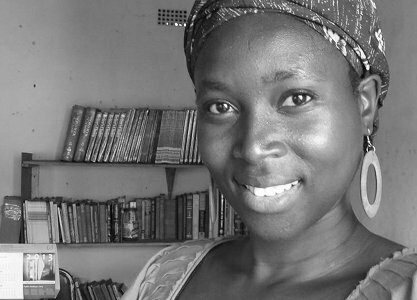 Her short story Radio Culture Is Dead was short listed in the Intwasa Short story competition for the year 2011. In march 2008 Elizabeth got an opportunity to be part of the cast for a HIFA-DIRECT production Silent Words and from then on the theatre bug had caught, seeing Elizabeth assisting on a production in 2009 and directing two productions in 2010 namely Just Papers and Wedding Day. In 2011 she also took part in the HIFA-DIRECT program as an assistant director for Colours of Dreams. She went on to co-direct a play Miss Julie in June 2012 and also assist in the direction of The Father as part of the August Strindberg project which is carried out by Global Arts Trust and Complete Arts Project. Elizabeth believes that it is important to know one self, to accept one’s history, the past and the present in this quest for shaping the future.